At Canyon Ridge Pediatric Dentistry, we provide emergency dental care to help restore teeth that have become either infected or damaged. If you live in Parker, CO, or the local area, we encourage you to save our phone number. Since there is no way to tell if or when your child may have a dental emergency, placing (303) 390-5183 in your contact list can save you a trip to the emergency room. Dr. Marc Thomas, provides emergency dental care to ensure that patients can get the help they need right away. By leaving a damaged or infected tooth in your child alone, you risk the chance of an infection spreading. Why should I take my child to you for emergency dental care instead of going to the ER? While the physicians at the emergency room are skilled at treating health emergencies, they are not familiar with dental care. They can triage any problem your child has by helping to stop the bleeding, but they will not be able to restore a damaged tooth. Likewise, if you take your child to an emergency room due to dental pain, they can provide your child with pain relief; they cannot find out what is causing the pain and work out a plan to solve it. This is why you need to visit the dentist instead. Remember that even if you go to the emergency room, your child will still likely need to visit the dentist anyway. If you live in Parker, CO, you can visit us for emergency dental care instead and save yourself time and money. At Canyon Ridge Pediatric Dentistry, Dr. Marc Thomas, provides the same type of services that you can receive during a traditional dental visit. The two most common issues that we address during emergency dental visits are damage to teeth and toothaches. It is fairly common for teeth to become damaged in an accident. This can happen due to a standard car accident, injury at school, sports accident, etc. While most children do not think about cracking a tooth while playing a game of basketball, it happens. These casual, everyday events can lead to sudden tooth damage. 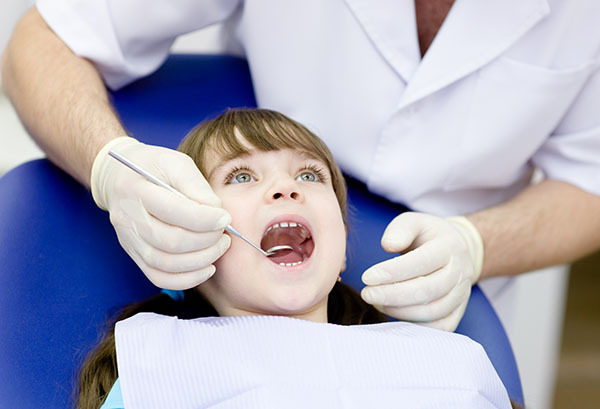 When a child does damage a tooth, you need to be sure to have it repaired. While providing emergency dental care, we can fix a tooth that has been cracked, chipped or knocked out. If your child needs an immediate dental restoration in Parker or the local area, visit our office. For fast results, we can use dental bonding. This is a resin, tooth-colored material that can be placed on top of your child’s tooth, molded to the shape of the tooth, and hardened using a special dental light. It can be completed in one sitting, so that your child can walk in with a chipped tooth and leave with a fully restored one. Other solutions, like dental bonding and dental crowns, are also available to correct damage. However, these typically require two visits to do so. We can also provide emergency dental care if your child’s tooth has been knocked out due to an accident. We may even be able to put the tooth back in your child’s mouth if you can find the tooth, rinse it off, place it in a cup of milk and then come to our Parker, CO dental office right away. Otherwise, we can discuss options that include a dental bridge or a dental bonding. All of these are possibilities that can appear completely natural, so to learn more call 303-390-5183. As an emergency dentist, we see a lot of Colorado patients that struggle with a major toothache. This is a top reason that people seek out care right away, instead of waiting for Monday or for the dentist to open in the morning. When a toothache strikes it can be debilitating and we can provide relief. The good news is that it does not have to be painful. At Canyon Ridge Pediatric Dentistry, we have found that most toothaches do not happen without warning. Signs can include discomfort when biting down, sensitivity to heat or cold, irritation when brushing and more. If your child senses any of these things, we encourage you to call (303) 390-5183 and schedule an appointment for a dental exam. Dr. Marc Thomas can examine your child’s teeth, look for any signs of infection and treat the problem before your child develops a raging toothache. Our friendly Parker staff can work to schedule an appointment that fits within your schedule, so that you have no reason to delay in seeking treatment. However, if you do not come in right away and your child does develop a bad toothache, we need to see him or her as soon as possible. Severe decay or infection can be a common reason for a bad toothache. To resolve this issue, we may need to perform a root canal. 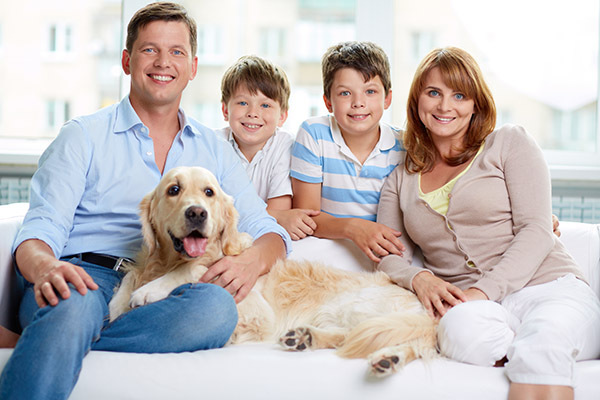 We can do this while providing your child with emergency dental care. Since the infection causes discomfort, removing it will help your child to feel better right away. We will numb the area, provide your child with anesthesia and then create a small hole in the tooth to remove the infected portion. Once done, the area will be cleaned before it is sealed. Dr. Marc Thomas, will ensure that the procedure is comfortable and after we are done, your child will feel significantly better than when you first came in. Sometimes, it is also necessary to restore the tooth with a dental filling or crown. If this is the case, we can complete that portion of the procedure immediately or schedule a second appointment to do so. Check out what others are saying about our emergency dental services on Yelp: Emergency Dental Care Parker. If you live in Parker, CO or the local area, call 303-390-5183 to treat any type of dental emergency. We will work to get your child treated right away, relieve any discomfort, restore your child’s teeth, and improve your child’s smile. We can also discuss any other oral health concerns that you may have.